Stealth Lodge Racing :: LORDOFTHEPARROTS FINALLY WINS!! 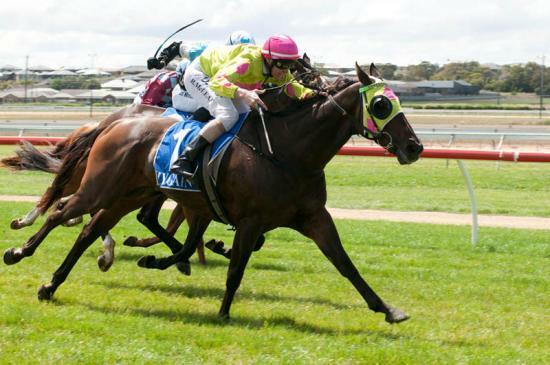 Lordoftheparrots finally broke his run of outs and rewarded his patient owners with a lovely win on Thursday at Warrnambool. On a Soft 7 Track over 3000 metres in a Highweight Race, Parrots was beautifully ridden by Brad McLean, carrying 69.5 kilos. The margin was 0.75 lengths. Hopefully a successful jumps campaign is in store for Parrots.